Hi, blog! It’s been a couple months! I almost forgot how to do these posts. 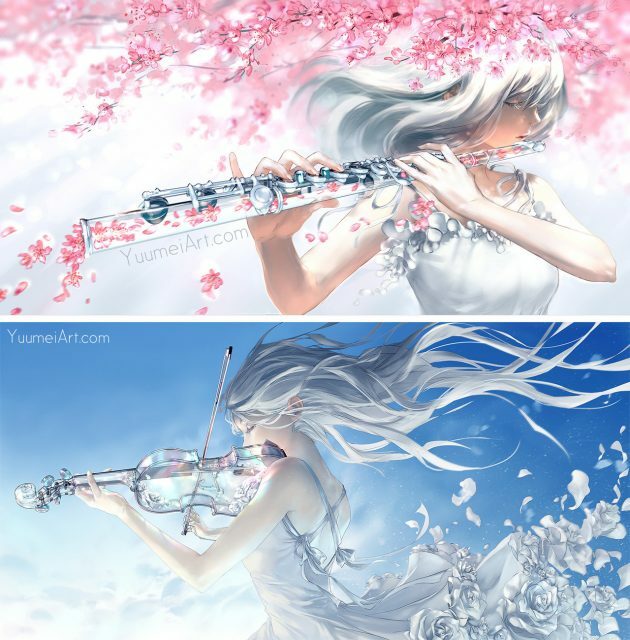 Yuumei, designer of the original Cat Ear headphones, painted some musical instruments made of glass. I wonder how they would sound. 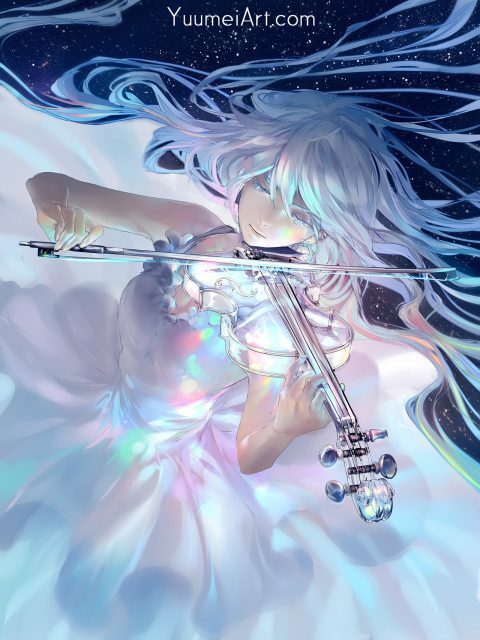 Crystal flutes exist, and I imagine string instruments would sound pretty normal too. 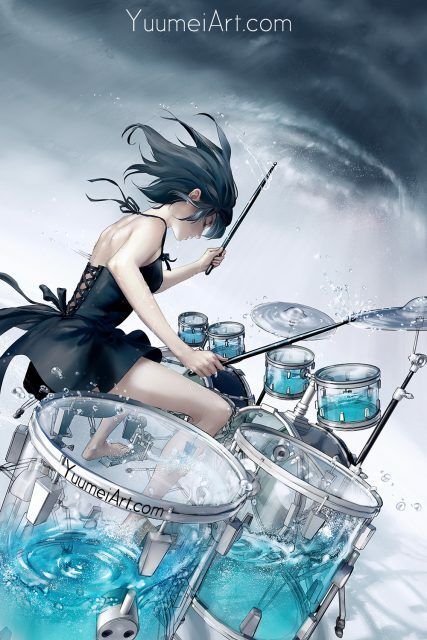 When hitting a drum with water in it, the air and the water would make two different sounds at the same time. 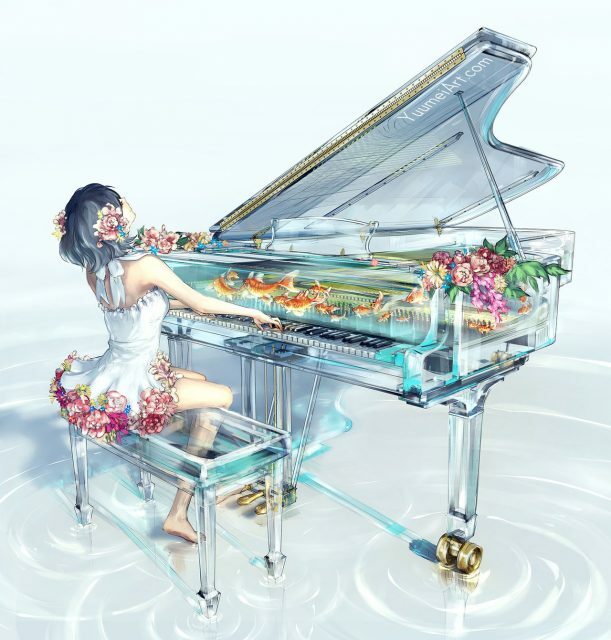 Then there’s the fish tank piano, which would take physical strength to play but make super deep, eerie tones. Underwater performances are possible!